Truly beautiful on the inside and out, Judy Eddington was a blessing in the lives of those around her. She lived a life of purpose, and she viewed each day as a gift to be unwrapped. A more loving and devoted wife and mother would be hard to find, but Judy just might have argued that nothing was better than becoming a grandmother later in life. She faced challenges, and with each trial that came her way her strength and courage were truly inspiring. Life will never be the same without Judy here, but she leaves behind a timeless legacy that her loved ones will proudly carry on in her footsteps. With the end of WWII in 1945, America was making the shift to being a nation at peace. The new housing market was skyrocketing as the baby boom after young servicemen and women returned home was underway. 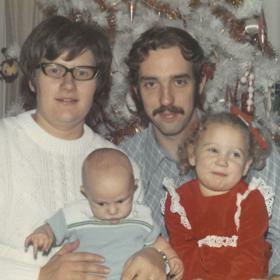 Amidst this eventful time was a time of great celebration in the lives of Robert and Trena (Grooten) DeVries as they announced the birth of the baby girl they named Judy on October 16, 1949. She was one of two children to be raised in the family home in a Dutch neighborhood on the North side of Kalamazoo as she was joined in her family by her brother, Jimmy. Judy’s father worked at Portage Cement Block Company while her mother was a homemaker. 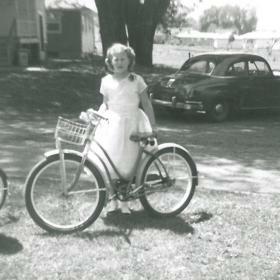 In many ways Judy was a young girl of her generation. All of her family lived within a few blocks of one another, which was nice for Judy as she and her cousin Jeannie often ran back and forth to each other’s homes. Known for her adventurous spirit, Judy and Jeannie were close as neither had sisters. They loved roller skating and walking their dolls in the doll buggy. They also made many trips to the lake. 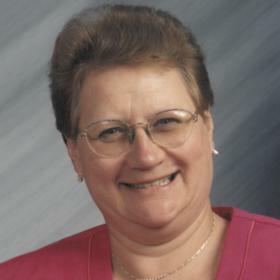 Judy attended local schools, graduating from Kalamazoo Central High School. She worked at Be-Mo Potato Chip Factory and later at Schensul’s Cafeteria in downtown Kalamazoo. New and exciting changes were in store for Judy when she met the man of her dreams. His name was Dan Eddington, and they met at Schwarz’s Drive-in on King’s Highway the day after Christmas when Judy was with a friend. Dan and his friends pulled in next to them at the theater, and they struck up a conversation. He asked Judy on a date for New Year’s Eve 1965, and after she accepted they went bowling on that first date. Dan liked that Judy was a down to earth home girl and also that her priorities were Christ and family. Although this was a very exciting time in Judy’s life, she was deeply saddened with the death of her father on February 19, 1967. Her sorrow turned to joy when she and Dan were married on December 22nd that same year. It was a day to remember as it was the worst snowy ice storm possible. In fact, they wondered if they’d even have the wedding at all because people couldn’t make it up the hill to their church, Zion Lutheran Church in Kalamazoo. Since Dan was in the Navy, their first few years of marriage were a bit more challenging. Just three months after they were married, Dan was stationed in Italy. He found an apartment and then sent for Judy. They spent two years in Italy where he was on the flagship of the 6th fleet. They traveled all over Europe, even visiting cousins in Germany. This time was a big test in their marriage as they were far from the family Judy had always relied on and confided in. It was also a very important time of her life as she often said that during those years when she was 18 and 19 years old she grew so much. She had flown across the world, and any disagreements they had they were forced to work out on their own as it was just the two of them. These were the days when there were no phones, and letters took too long to get home to be of any help during the more trying times. Judy and Dan learned how to work things out together, which is partly why their marriage lasted more than 50 years. Since it was such an important part of her life, she always wanted to go back to Italy. To add to the trials of this time, after the couple returned home in 1970 Judy’s brother, whom she was close to, was sadly killed in a car accident. 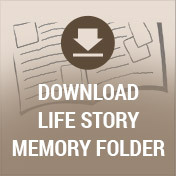 Throughout her life there was nothing that was more important to Judy than her loved ones. She and Dan welcomed two children, Jennifer and Randy, into their hearts and home. Some of their best family memories were made on camping trips, mostly to Northern Michigan. Judy always loved camping and things like cooking over an open fire and experiencing the beauty of the lakes of Northern Michigan. She always had everything prepared and planned out for their camping trips including snacks for the car. In addition, Judy was a surrogate mother to all the kids in the family. Later in life Judy was filled with unspeakable joy when grandchildren came along. The big joke in the family was that if she had known that grandkids would turn out to be so important she would have had them first! Judy was rarely one to be idle, and she was a woman of many interests. From 1992 through 2003, she worked at the JC Penney Home Store. This was a great fit for Judy since she was personable and helpful by nature as she found much joy in helping others. She loved scrapbooking, and over the years she made many scrapbooks of the trips they took. Judy often asked family members for photos before the trip was even over. It meant a lot to her to simply sit and go through the books, especially later in life. She had just as much fun creating the scrapbooks as she had creating the memories. Their trips to Chicago and up North to Mackinaw were some of their favorite times. Judy enjoyed shopping for others and with others, but she had a hard time making shopping for herself a priority. She always looked forward to attending the USS Little Rock reunions with Dan. The last reunion was particularly special because the whole family got to go, and Judy was strong enough to go herself.  This was a major goal for her, and it is what kept her going as she battled her health. Judy enjoyed sewing, cooking, and decorating cakes, and when it came to music she liked the oldies from the sixties and seventies. All who knew Judy Eddington would agree that there was no one quite like her. She was genuine and so compassionate, and everything she said was deeply rooted in love. Judy was a trusted confidante and so wise, and everyone always knew that they could trust what she said. She taught others that there is always something to be grateful for, and no matter what she faced she never complained. Deeply loved, Judy will be forever missed. At age 68, she died peacefully on July 17, 2018 at University of Michigan Hospital. 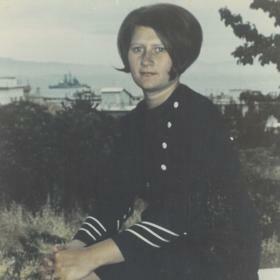 Judy was born October 16, 1949 the daughter of Robert DeVries and Trena Grooten. She enjoyed her work at JC Penney Home Store for many years. Her helpful personality served her well as she cared for her family and many others. Judy was preceded in death by her parents and her brother, Jimmy. Surviving are her husband of 51 years, Dan; 2 children: Jennifer Eddington and Randy Eddington; 3 grandchildren: Deanna, Sarah and Elizabeth: and her special cousin Jeannie. Cremation will take place. Visit with family and friends while sharing food and refreshments on Friday (July 20) from 5-7 PM at Betzler Life Story Funeral Home, 6080 Stadium Dr. Kalamazoo (269) 375-2900. Services will be held at Oakland Drive Christian Church, 7331 Oakland Dr. on Saturday at 11 AM with a luncheon to follow at the church hall. 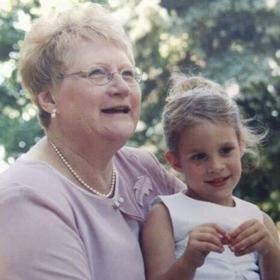 Please visit Judy’s personal web page at www.BetzlerFuneralHome.com, where you can read her story, archive a favorite memory or photo and sign her online guestbook before coming to the funeral home. Memorial contributions may be made to Tree of Life School or Samuel and Jean Frankel Cardiovascular Center at University of Michigan.